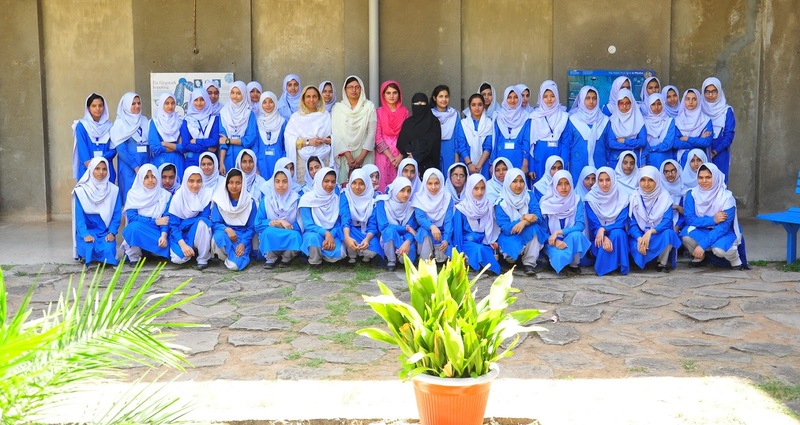 On 16 May, the second International Day of Light (IDL) will celebrate the importance of light and light-based technologies to individuals and communities around the world. 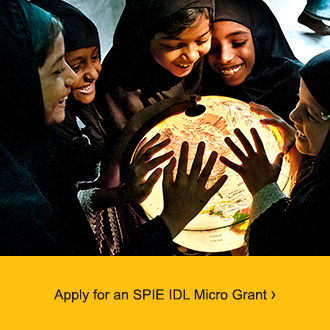 SPIE, the international society for optics and photonics, supports IDL in part by offering Micro Grants towards SPIE Member activities that showcase and share the role that light plays in our lives. We are currently welcoming applications for 2019 IDL Micro Grants, with an application deadline of 15 December. Last year, SPIE supported activities across the globe, from Cote D’Ivoire, Argentina, the US and India, to Thailand, Italy, the UK, and South Africa. Programs engaged students of all ages, professors, volunteers, and industry professionals, resulting in exciting, impactful events. The Université Laval SPIE Student Chapter in Quebec City built an interactive, informative, light-phenomena-sharing platform, La Terrasse Optique, in front of the Quebec Parliament, making their venture an educational, scientific, and artistic endeavor as well as a central-city tourist attraction. In New Zealand, the SPIE Student Chapter at the University of Auckland held a Historic Science Fair, complete with costumed volunteers representing famous scientists as well as engaging technical demonstrations and question and answer sessions with the university’s researchers. Students from the city’s primary schools were invited along with their parents, and hired buses transported regional students to the day-long fair as well. 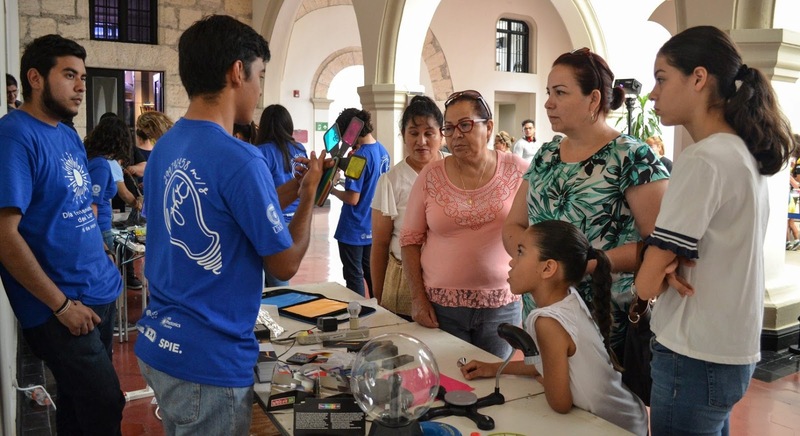 The Universidad Autonoma de Nuevo Leon in San Nicolás de los Garza, Mexico, held events over two days, including an Optics Outreach Workshop on diffraction and scattering; an informal coffee-and-chat session between a university professor and undergraduate students; a “Dumpster Optics” workshop for elementary and secondary public school teachers covering fun, inexpensive ways to enhance their science classes; and a public, day-long event chock full of workshops (kaleidoscopes; pinholes; polarization; astronomy; 3D art), and optics-focused puppet-plays featuring Albert Einstein, Marie Curie, Nikola Tesla, Thomas Edison, Carl Sagan, and Ben Franklin. And Quaid-i-Azam University’s Department of Physics in Islamabad, Pakistan, held a two-day Optics Fair, welcoming about 400 students and more than 50 faculty members from local schools and colleges. Interactive experiments included demonstrating, via candy and LEDs, how light is absorbed and reflected; how to create a hologram pyramid; and a playful, colorful look at how to generate optical illusions. 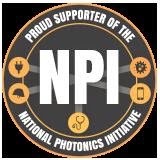 If you have an optical-illusion-generating-trick up your sleeve; fancy running a series of optical-focused workshops for your local schools and community organizations; have a terrific idea about shining a new light on optical phenomena; or would like to participate in 2019’s International Day of Light in other ways, please visit the SPIE website to find out more about IDL, our Micro Grants, and how to apply.